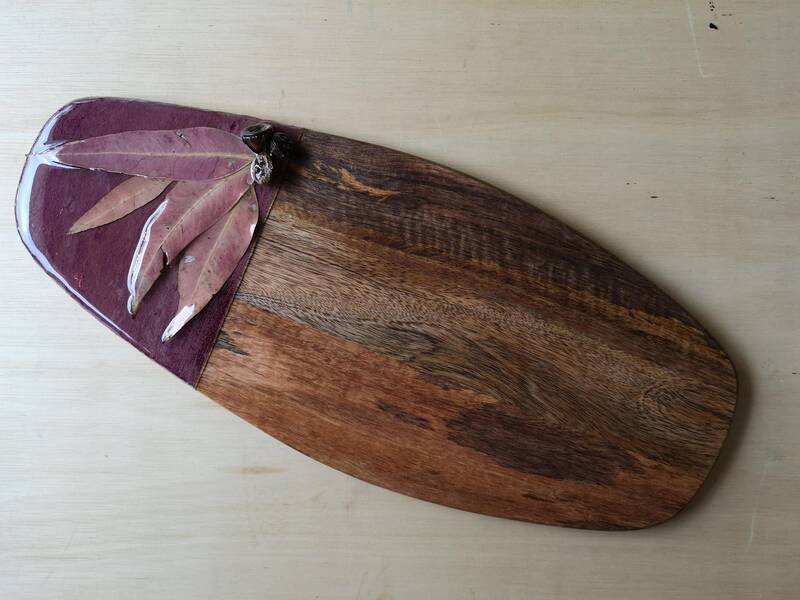 I've been wanting to make some serving boards with an Australian theme for some time, and this is the first one off the block! 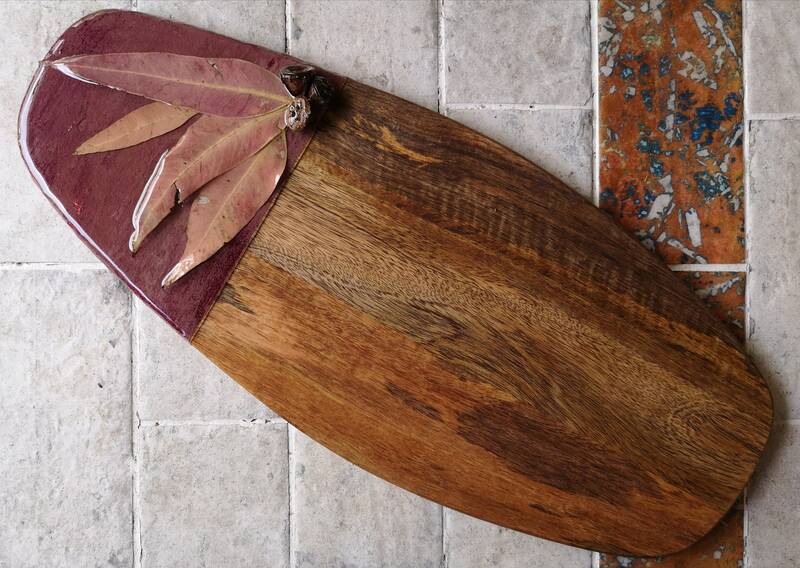 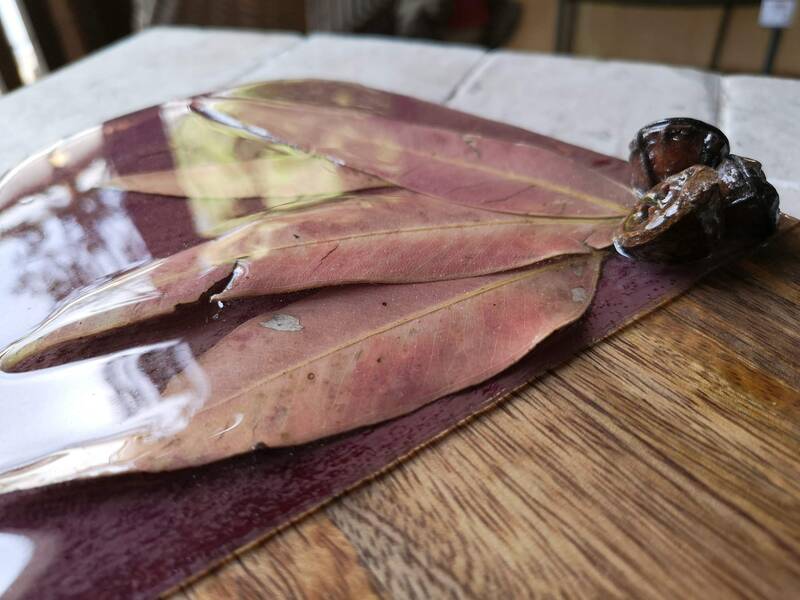 I have dried some eucalypt leaves and gum nuts, and included them as the feature of the board. 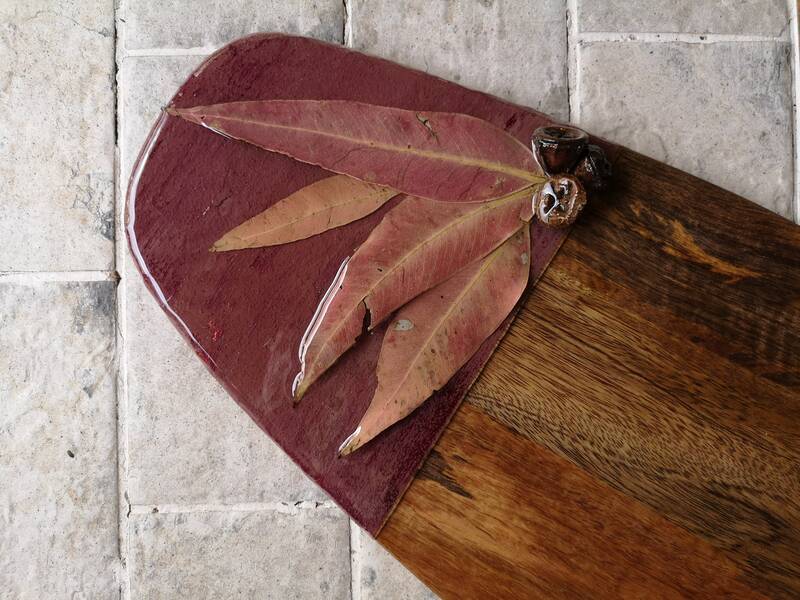 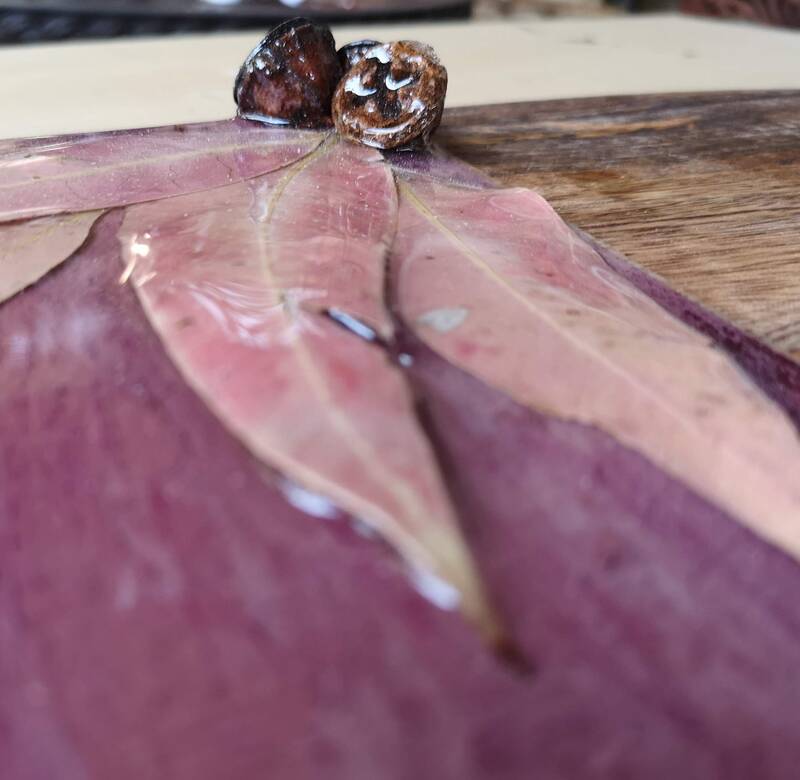 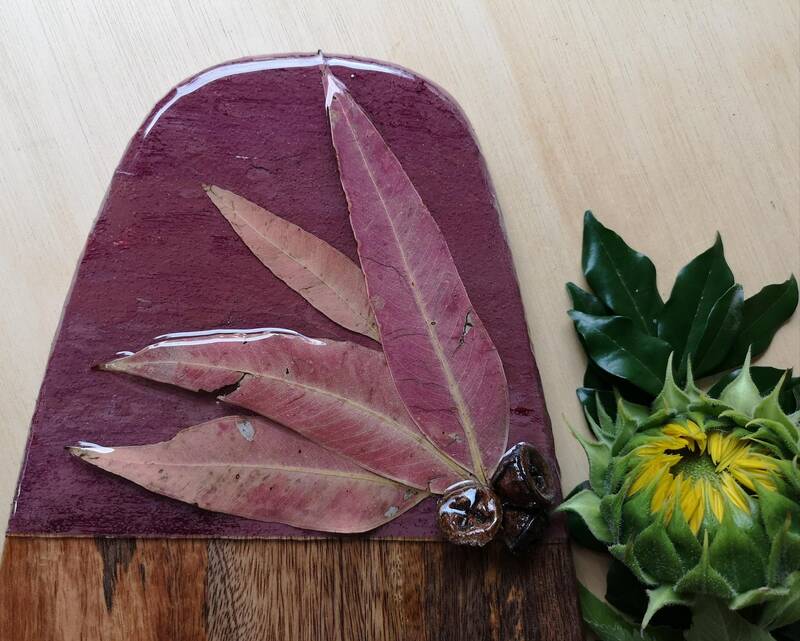 The background of the board has been painted with an Australian Red Violet pigment with a sand-textured paste, and the leaves and nuts individually fixed in place and covered in several layers of food-safe resin.